Lego’s WeDo 2.0 has a knack for making students smile as they take their first steps into the world of programming. Lego Education's latest entry in the classroom leverages its popular brand of building bricks with a STEM-based curriculum and loads of personality. 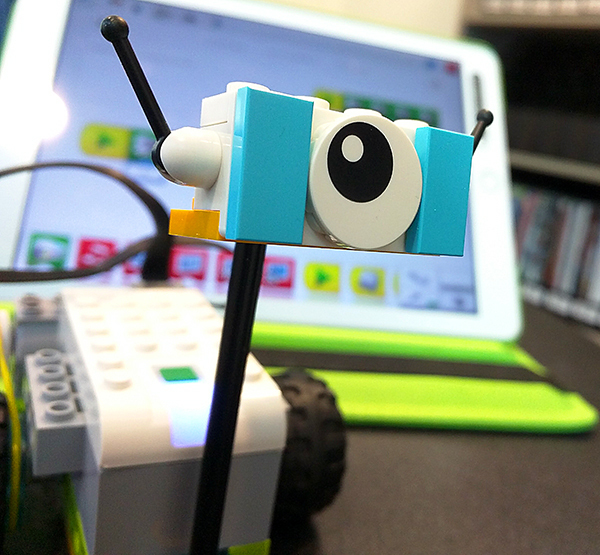 At CES 2016, Lego Education unveiled WeDo 2.0, a curriculum package designed to provide elementary school students with a smooth path to practicing STEM concepts, such as engineering, robotics and programming, with fun hands-on lessons. As an update to its existing WeDo package, version 2.0 goes wireless, cutting the USB tether of its predecessor. A Bluetooth-enabled component called the Smarthub can receive programming instructions sent from devices such as smartphones and tablets running Lego's intuitive drag-and-drop coding app that uses the hub’s motor and motion and tilt sensors. "Lego has a low entry point and a high ceiling, going as far as your imagination can take you. That's an inherent component of the Lego system, and we wanted to mirror that in the programming software," says Pamela Scifers of Lego Education North America. The hardware and interface are intuitive enough for students in second through fourth grades. But WeDo also includes more than 40 hours of lesson plans and activities that conform to 21st-century learning standards. Following the provided instructions for one lesson, WeDo can be built into shapes resembling a bee and a flower. The bee can be programmed with the coding interface to spin around a flower and play a pre-programmed buzzing noise when it completes its cycle. But like all Lego instructions, these are open-ended and can be modified at will. By reconfiguring the coding bricks, the buzzing noise can easily be changed to a monkey noise or can display a pre-selected image on the device sending instructions. The spinning sequence can also be disrupted and turned into something completely different. "It's a way that even very young children can do pretty sophisticated programming," says Leshia Hoot of Lego Education North America. "They can learn the basics of any system that they might build as they progress in their academic career." Computer programming initiatives in K–12 schools are ramping up nationwide. In September, the New York City Department of Education announced an $81M program to bring computer science courses to all of its students by 2025, and Chicago Public Schools wants computer science to become a core subject in its schools. Lego's WeDo is among the few endeavors designed with young children in mind. As they get older, they can upgrade to the slightly more complex Mindstorm platform. The skills these students learn with WeDo and Mindstorm also translate directly into the FIRST Lego League, a school-based competition in which students create programmable robots built from Lego bricks. WeDo 2.0 is available now and is compatible with Apple and Android tablets and smartphones; Chromebook support will come later this year.